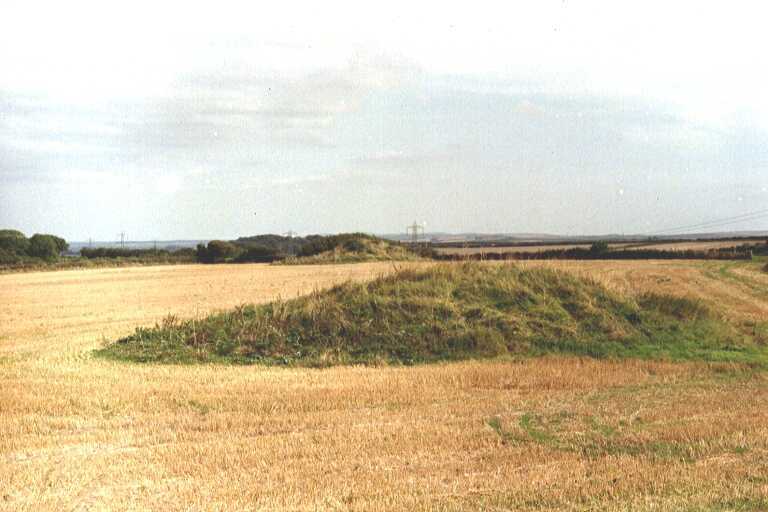 Came Wood barrow cemetery consists of a Neolithic bank barrow together with a number of Bronze Age round barrows (of the bell, bowl and pond varieties), in an area containing many other burial-mounds. 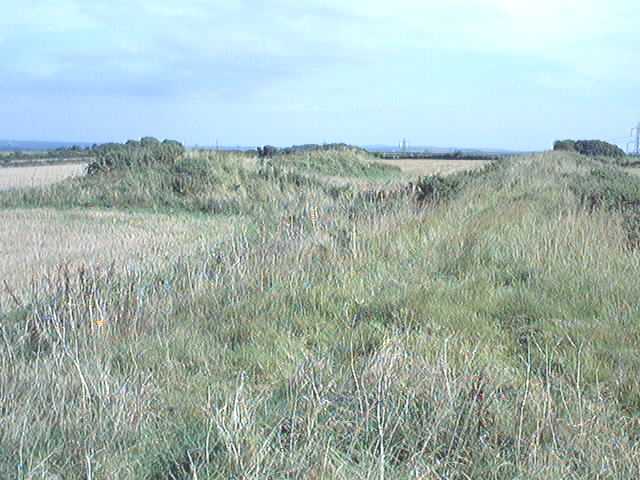 There's also another spectacular barrow cemetery very close by, on Bincombe Hill, just to the south-west. 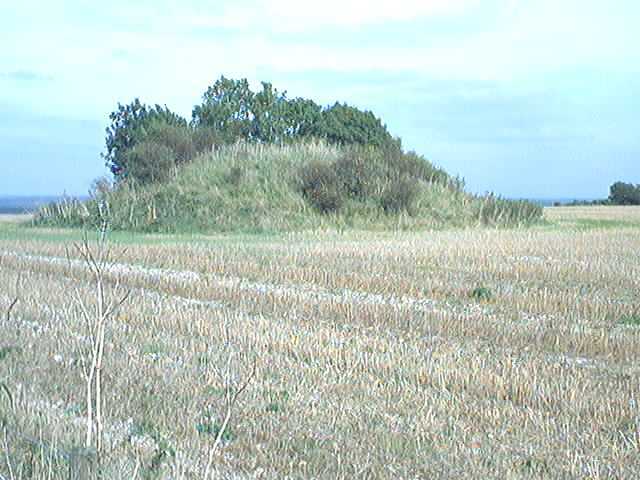 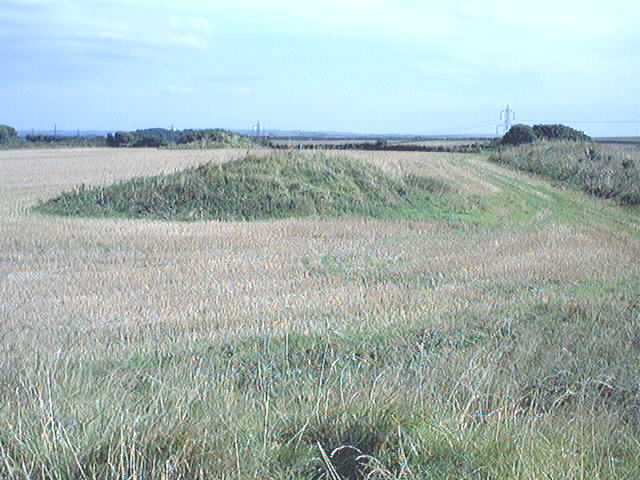 The bank barrow, which dates from around 3000BC, is about 600 feet long, 57 feet wide and 7 feet high. 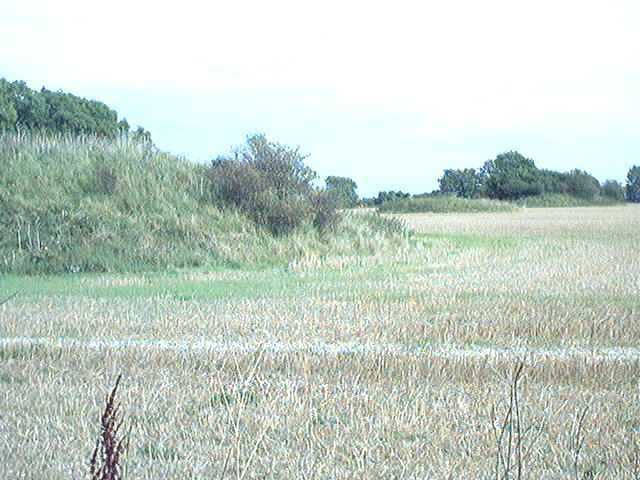 A round barrow has been built overlaying its NW end, from the top of which several of the photos below were taken. 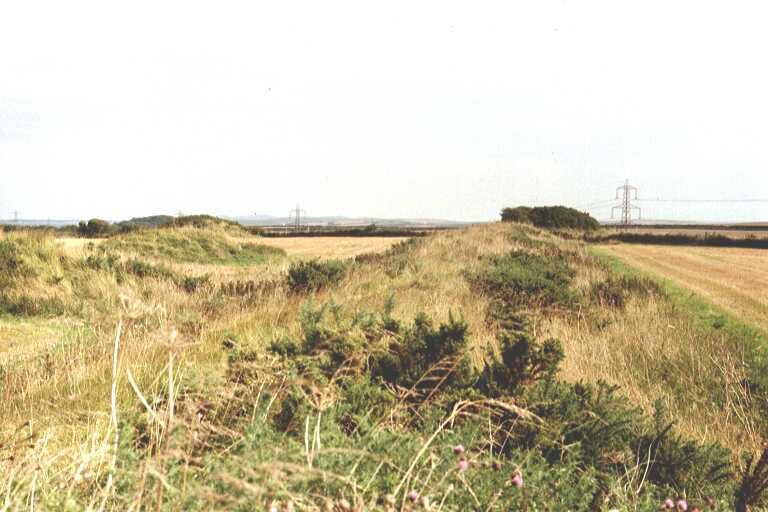 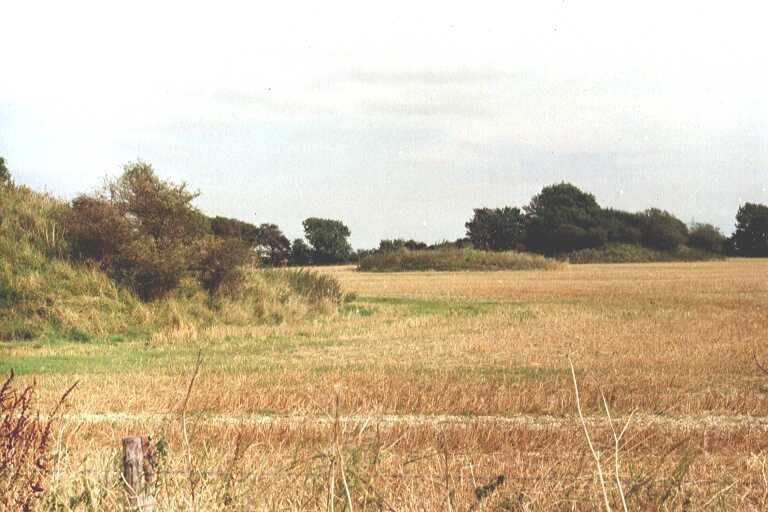 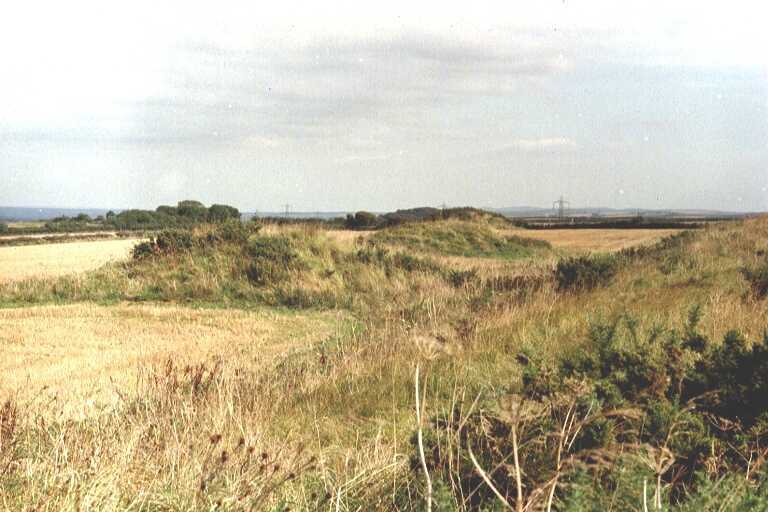 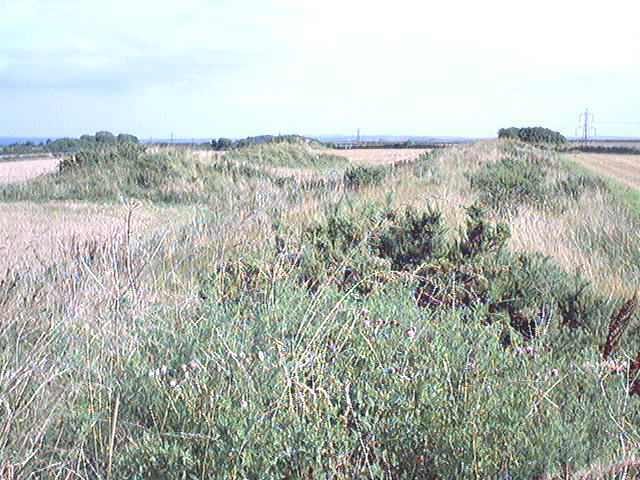 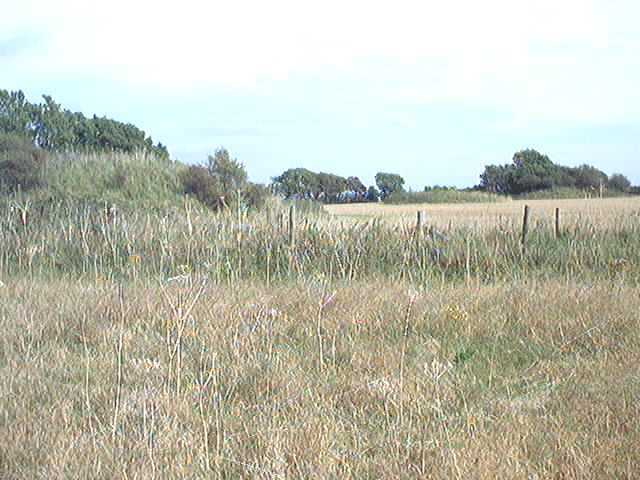 There are at least 9 other Bronze Age round barrows in the rest of the group, though some are now much less visible on the ground than others. 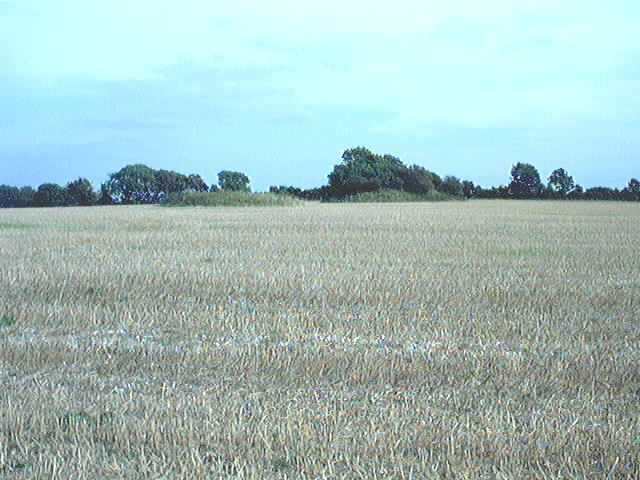 As you can see from the map (linked to above) some are in Came Wood itself, and others in the open fields. 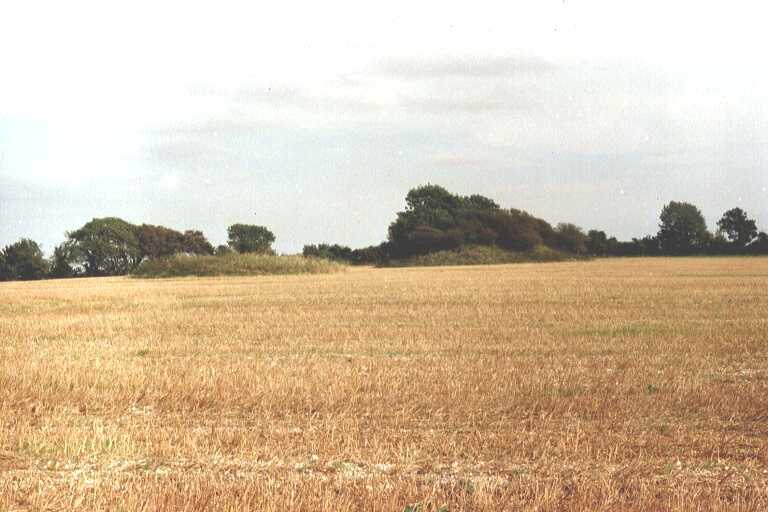 These date from between about 2200BC and 1800BC.